Dr Simon Lewis undertook his anaesthetic training in the Bristol region and then spent a fellowship year in Perth, Western Australia. During this time he developed an interest in preoperative assessment and ultrasound-guided regional anaesthesia. Dr Simon Lewis also developed an interest in echocardiography and completed the Diploma in Perioperative Echocardiography in 2009. 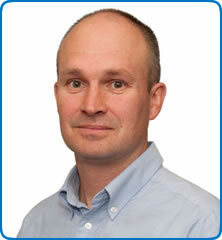 He was appointed as a Consultant Anaesthetist to North Bristol NHS Trust (NBT) in 2007. Dr Simon Lewis is also currently Southmead Hospital Bristol Anaesthetic Lead for Clinical Governance and Preoperative Assessment and he regularly performs cardiopulmonary exercise testing (CPEX) for high risk patients.